HSBC (Hong Kong Shanghai Banking Corporation) is one of the World's largest banking groups and the World's 6th largest company according to composite measure of Forbes. Initially started its banking operations in Asia, the group has expanded its presence across the World to cater a wide range of customer needs from financial lending, investments, insurance and savings. 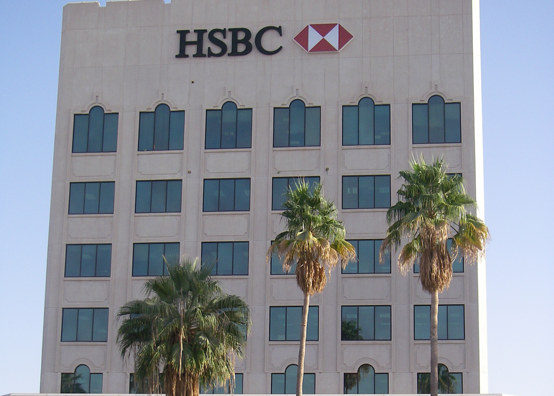 HSBC Bank Egypt required a robust Time Attendance system that can cater hundreds through their 40+ strong network of branches. With the large amount of user transactions that is on hand, HSBC Bank Egypt needed assurance of a system that can cope with the stringent usage demands required by the bank. Up to 100x ACTAtek HID Proximity Smart Card based systems with 3000 user capacity (ACTA-3K-S-Hp) installed at over 40 branches of HSBC Bank Egypt. Network ready with built in RJ-45 LAN connectivity for scalable deployment. ACTAtek Sync middleware was used to synchronise data from multiple units to the central server. The units were installed and deployed successfully over many of HSBC Bank of Egypt's network branches. HSBC Bank of Egypt was able to take advantage of ACTAtek's innovative technologies and was pleased with the results that the ACTAtek systems delivered for their Time Attendance requirements.